Carole Peeler, CPDT, CDBC, CNWI, has more than twenty years of experience in dog training and canine behavior consultation. She is certified through the Certification Council for Professional Dog Trainers, the first certification program for dog trainers in history (click here for more information about the National Certification Program). 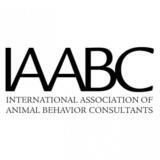 She is also certified as a dog behavior consultant through the International Association of Animal Behavior Consultants, Inc. (IAABC). Currently she is also a Certified Nose Work Instructor through the National Association of Canine Scent Work (NACSW). For the past fourteen years, Carole has managed her own dog training company, C&C PALS. While teaching various types and levels of classes, she also offers private consultations at clients' homes helping people with their dogs' various behavioral issues. Carole is an Honors Graduate of the San Francisco SPCA's Academy for Dog Trainers Behavior Counseling Program, and actively participates in continuing education by attending seminars, conferences, and clinics throughout the year. In addition, Carole been a featured speaker at the annual meeting of the Association of Pet Dog Trainers and regularly speaks on dog issues at various local dog-training seminars. Local newspapers have interviewed her several times in regards to articles related to dog issues in the community. Carole is very active in the dog community and has numerous accomplishments. • She has done therapy work with her two certified therapy dogs and was actively involved in the aftermath of 9/11 as part of the Pentagon Family Assistance Center. • She has been a certified animal evaluator and member of Therapy Dogs International, Inc., and the Delta Society as well as a certified temperament tester for the local Pets on Wheels. • She is a certified AKC Canine Good Citizen (CGC) evaluator under the enacted 2005 AKC certification rules. • She is a member of the Animal Science Advisory Committee for the Arlington Career Center, Arlington Public Schools. • She teaches dog courses for Adult Education for Arlington and Fairfax County, as well as the City of Falls Church. She is a member of the National Association of Canine Scent Work. • She is a member of the American Dog Owners Association, Inc. which deals with dog legislation. • She has titled her own dogs in the breed and obedience ring. "Carole Peeler combines a keen and thorough theoretical understanding, hands-on training ability and awesome people skills. This is an exceedingly rare combination in our profession." SF SPCA, author of The Culture Clash and Dogs Are From Neptune and Mine! Capitol Canine Club was started as a place where dogs can come and socialize with other canines of similar play-style and temperament. They care about the safety of the dogs and have taken measures to ensure that the dogs not only have fun, but the people supervising the dogs make sure that they promote appropriate interaction among dogs and with humans.